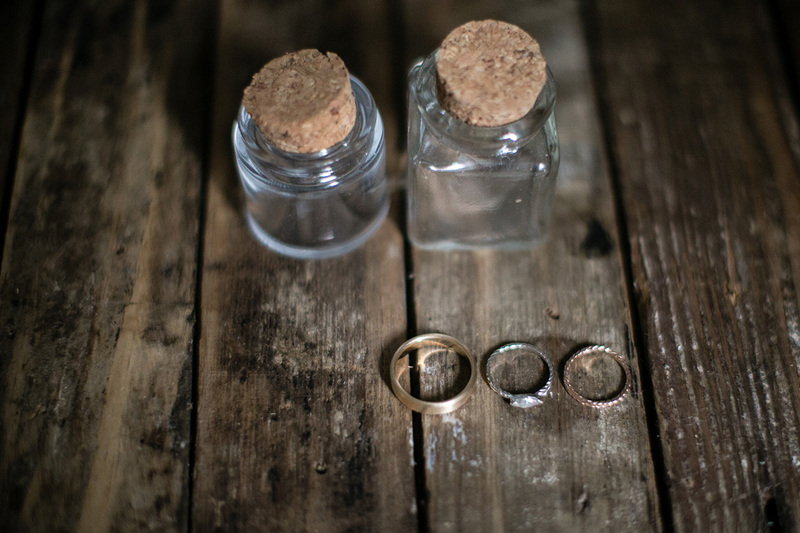 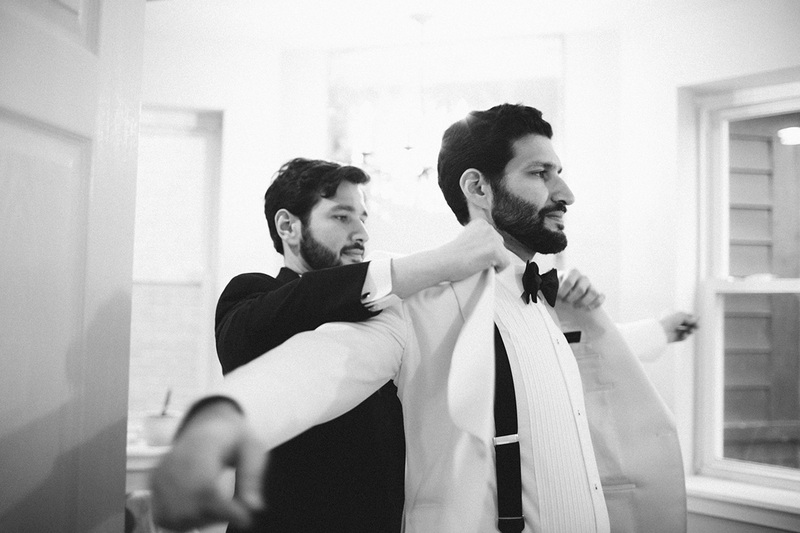 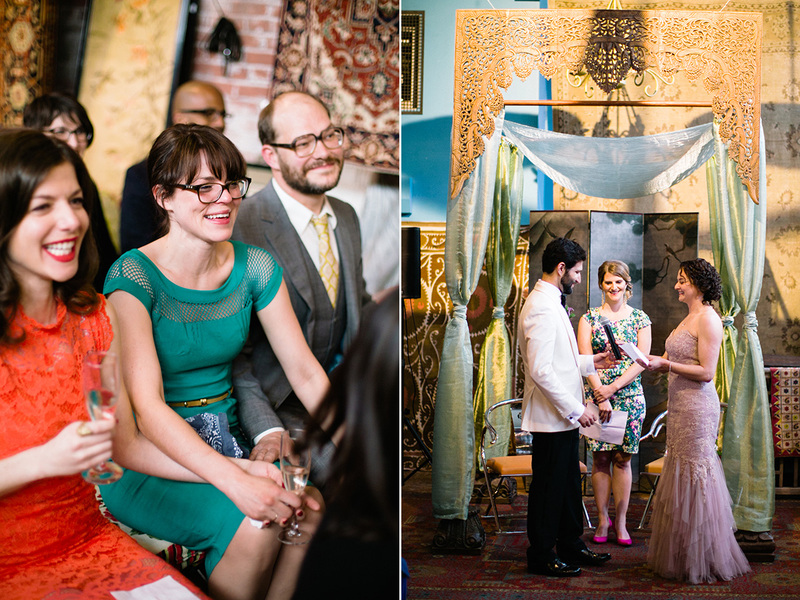 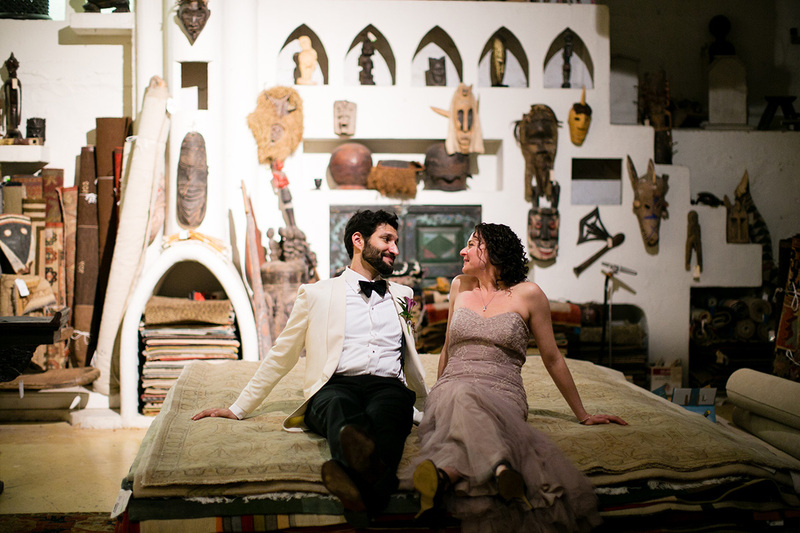 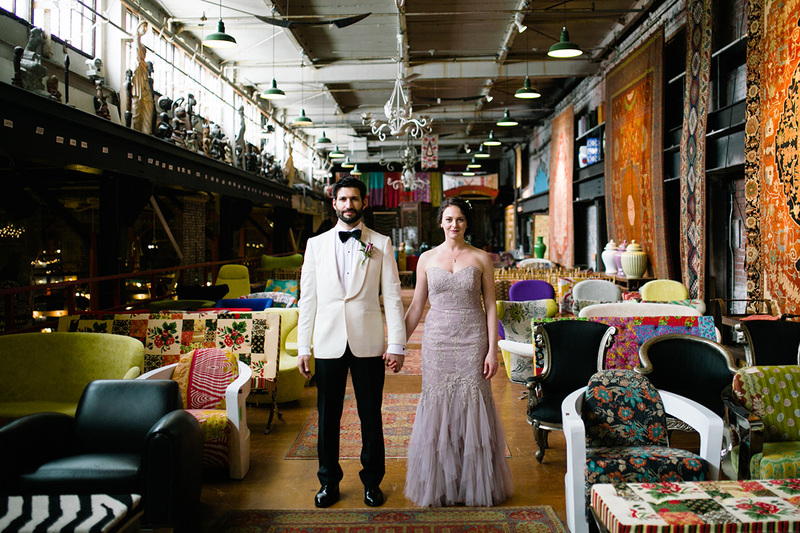 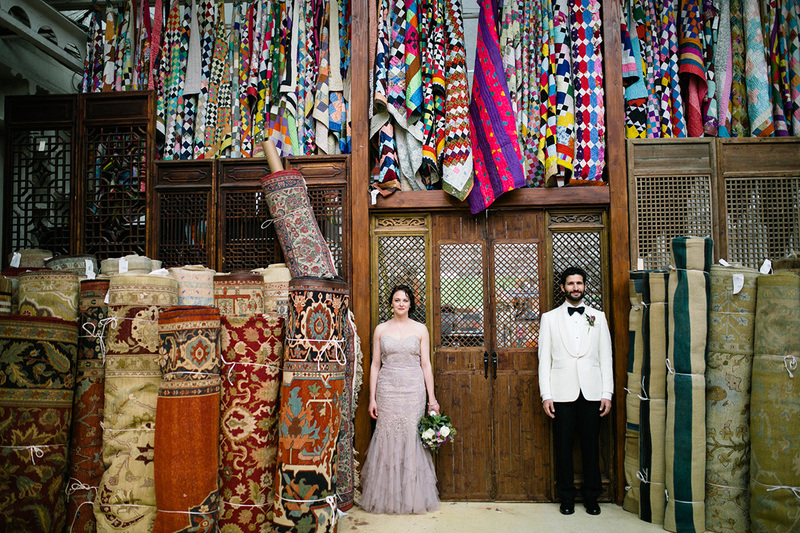 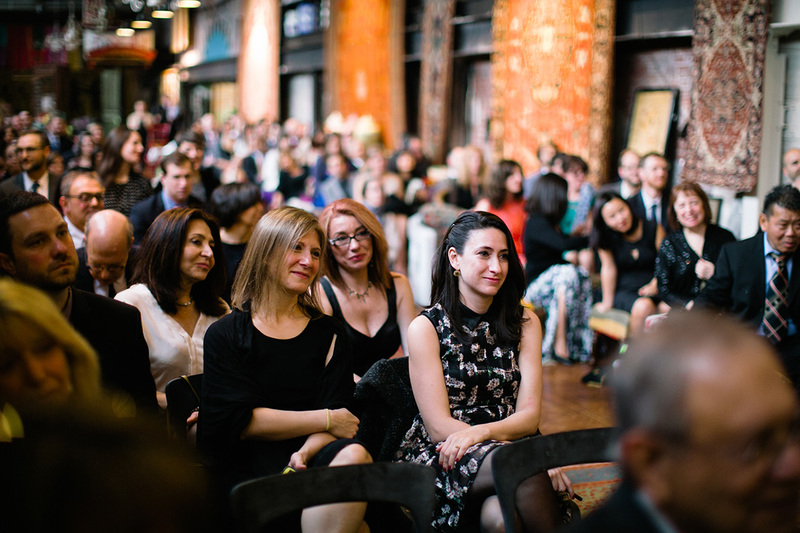 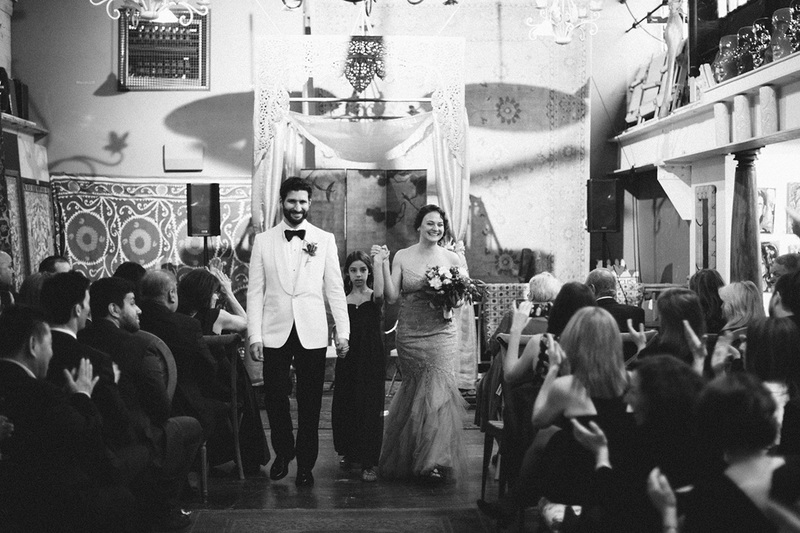 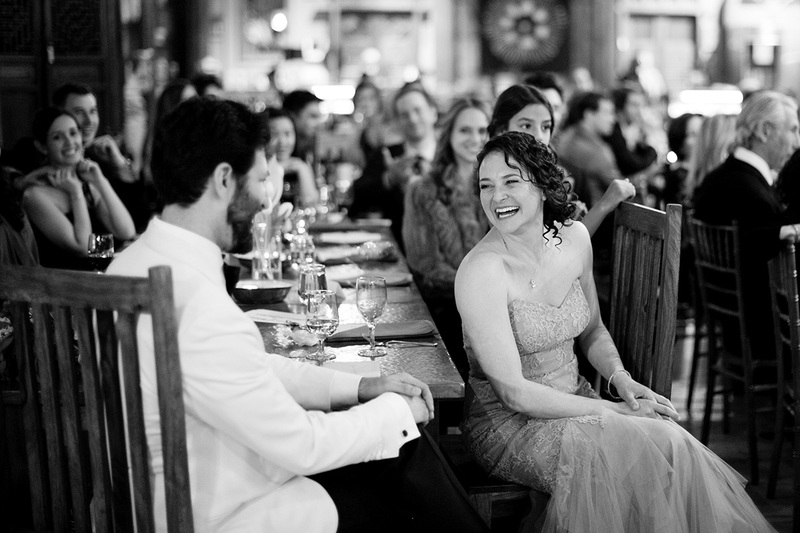 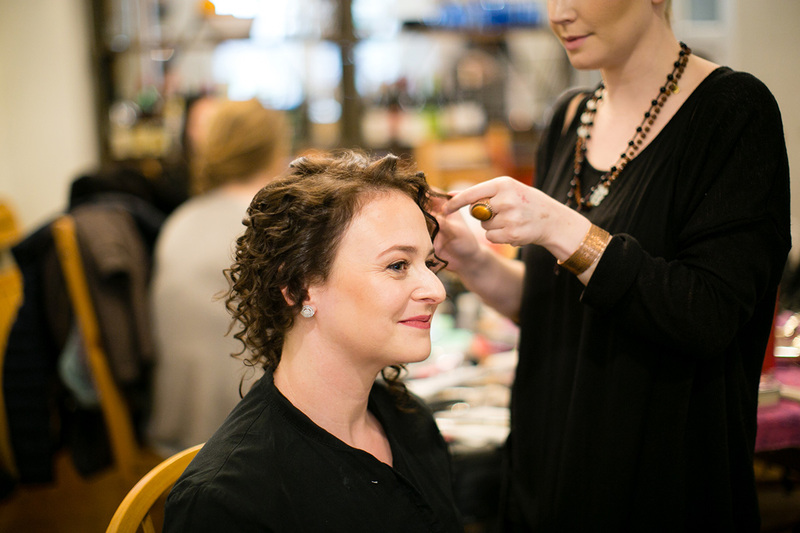 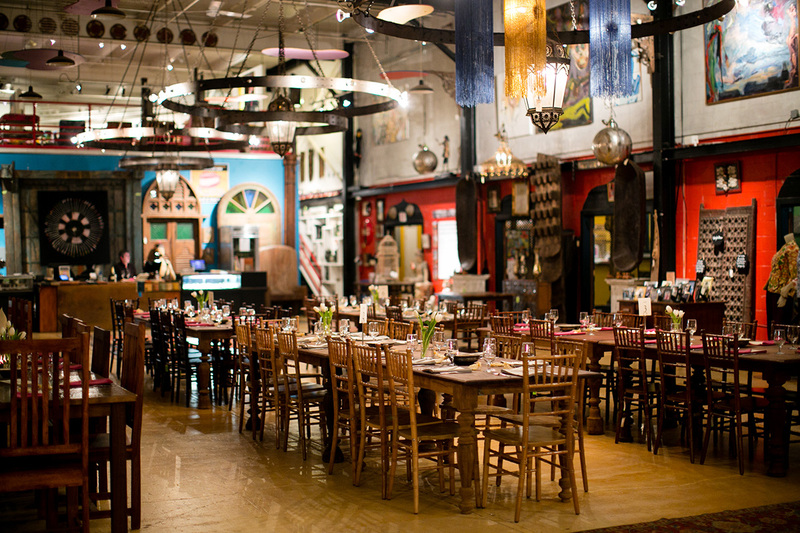 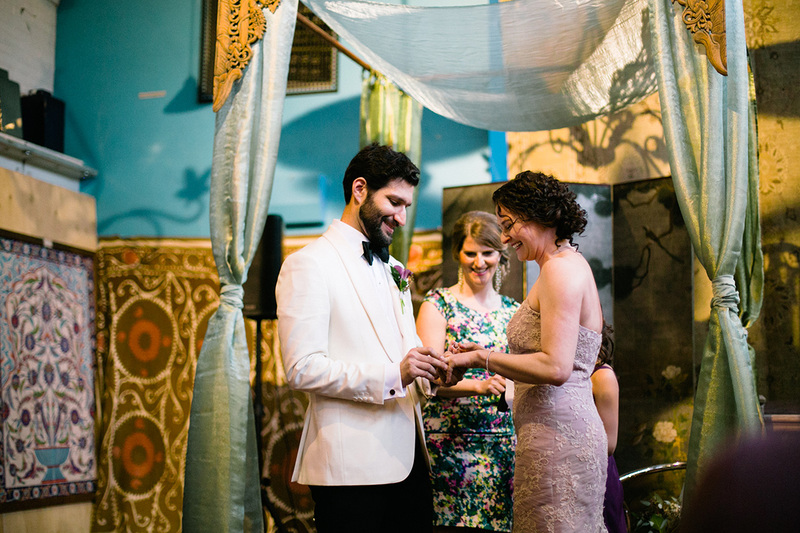 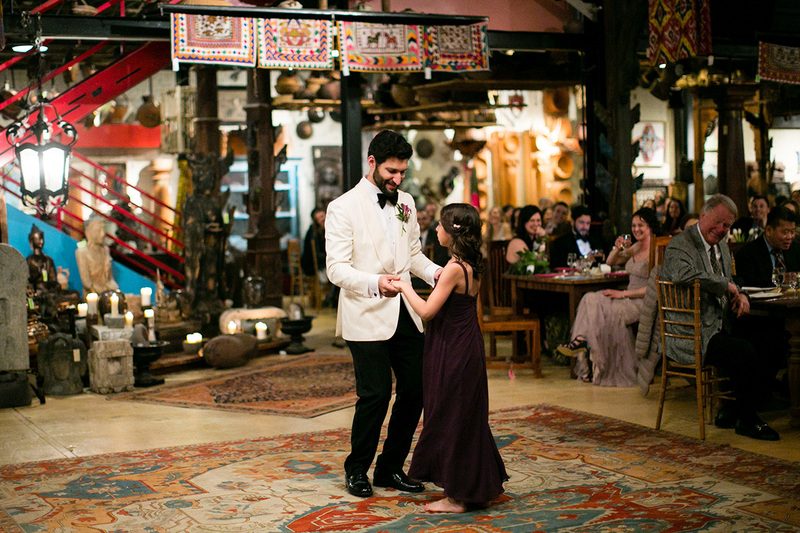 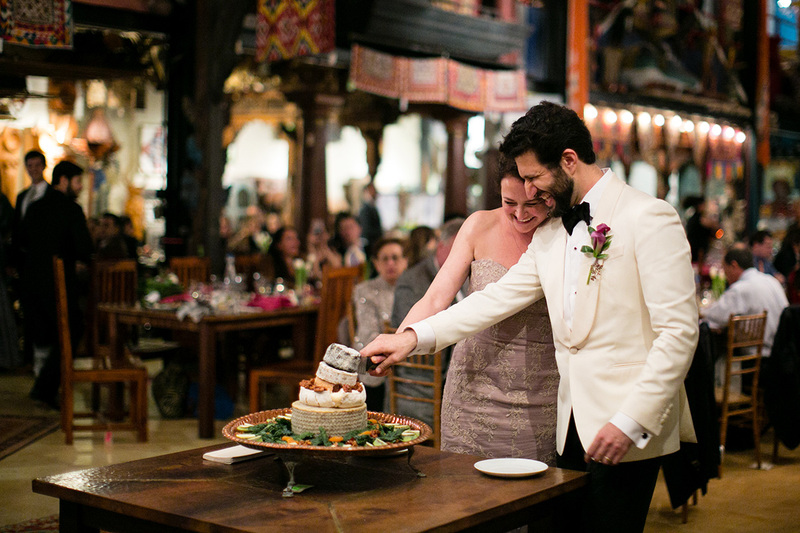 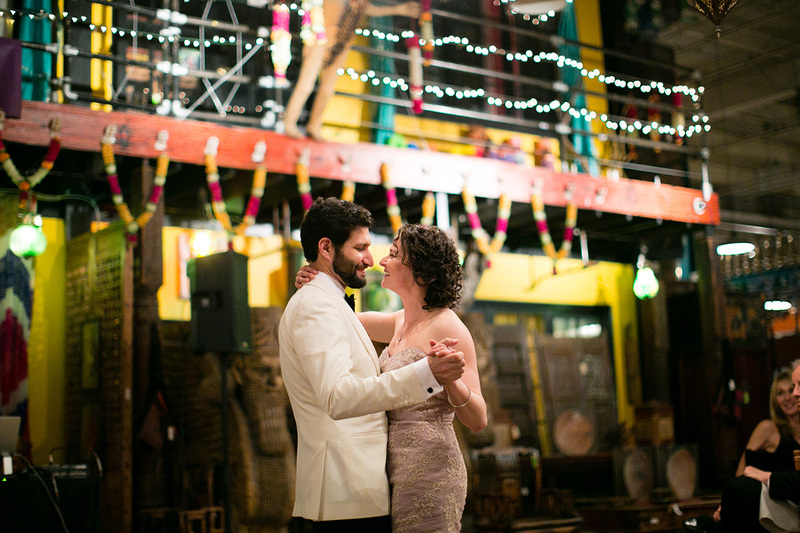 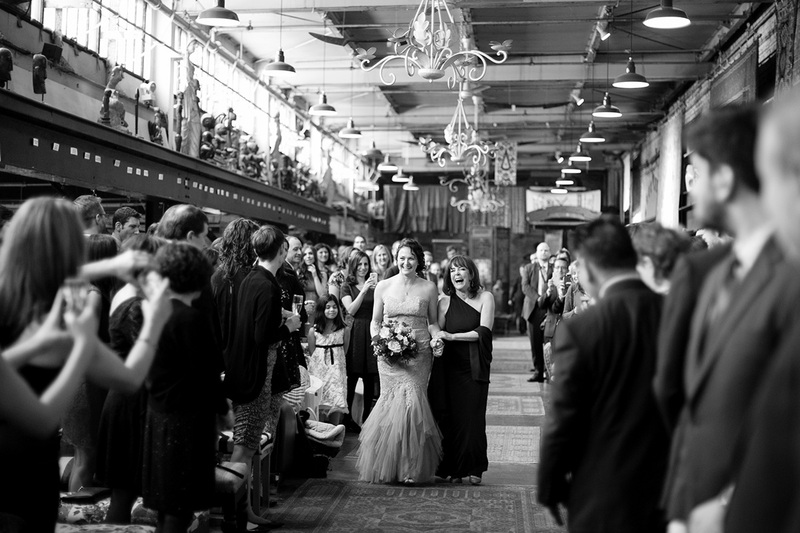 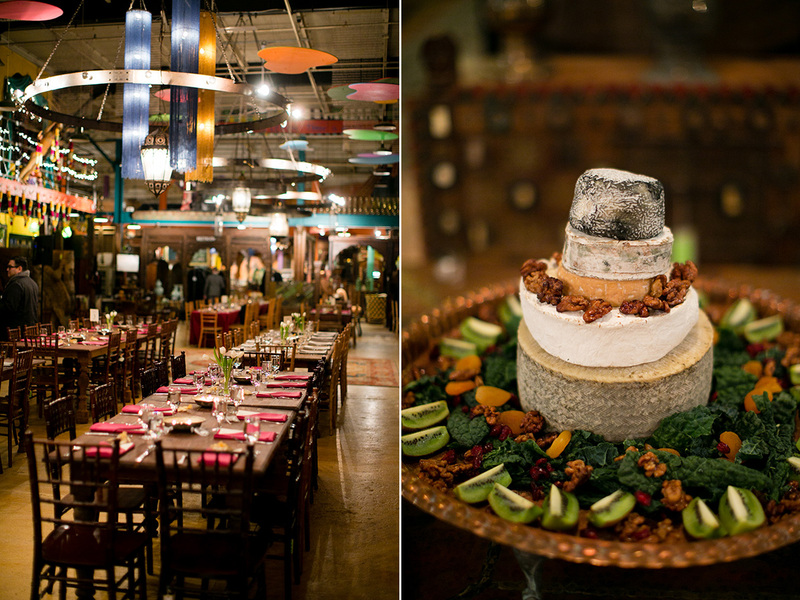 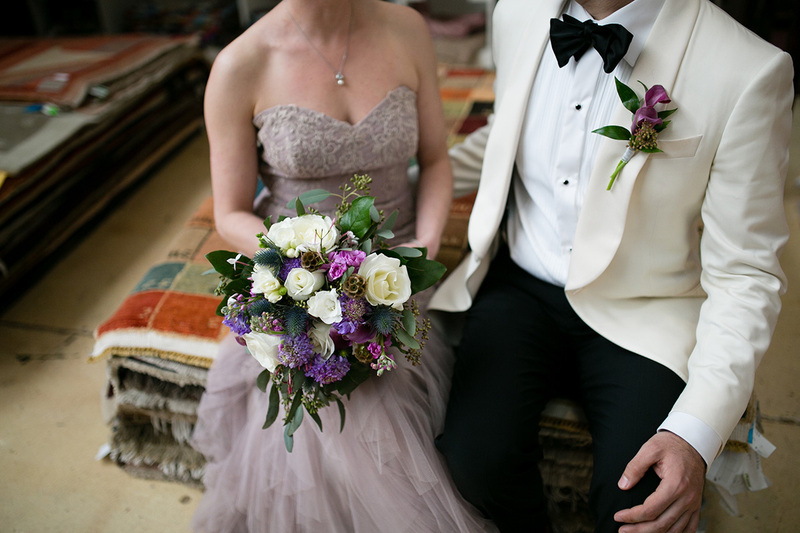 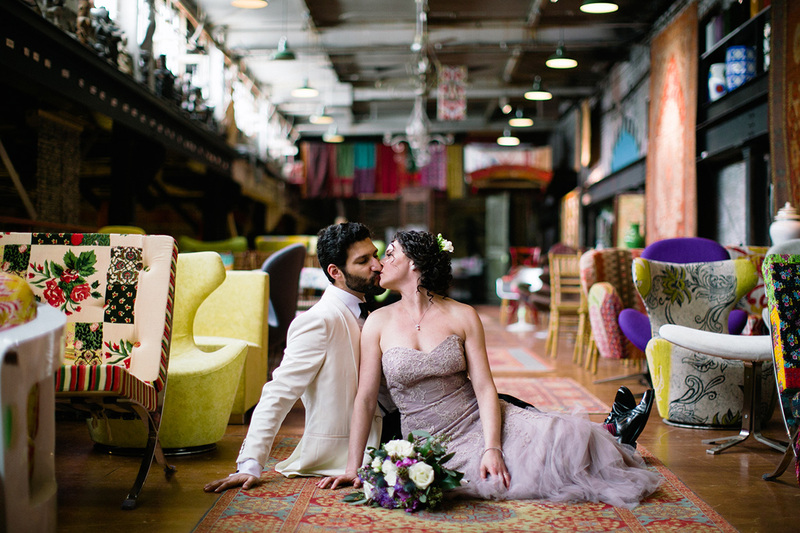 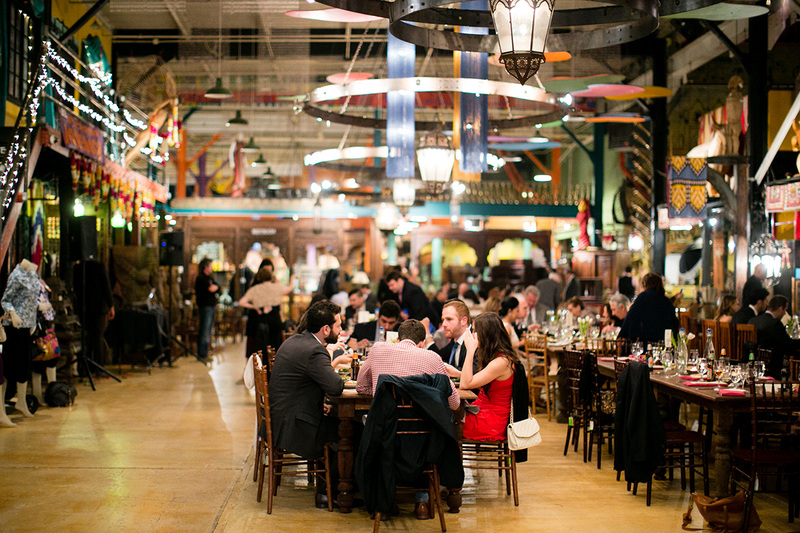 Alison and Shaheen chose Material Culture as their wedding venue. 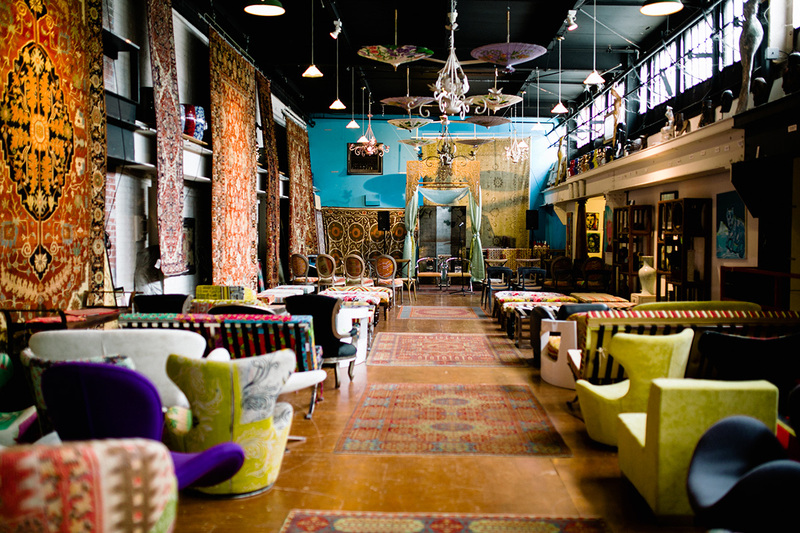 It’s such a unique and cool space filled with antiques, furniture, textiles, sculptures, rugs, etc! 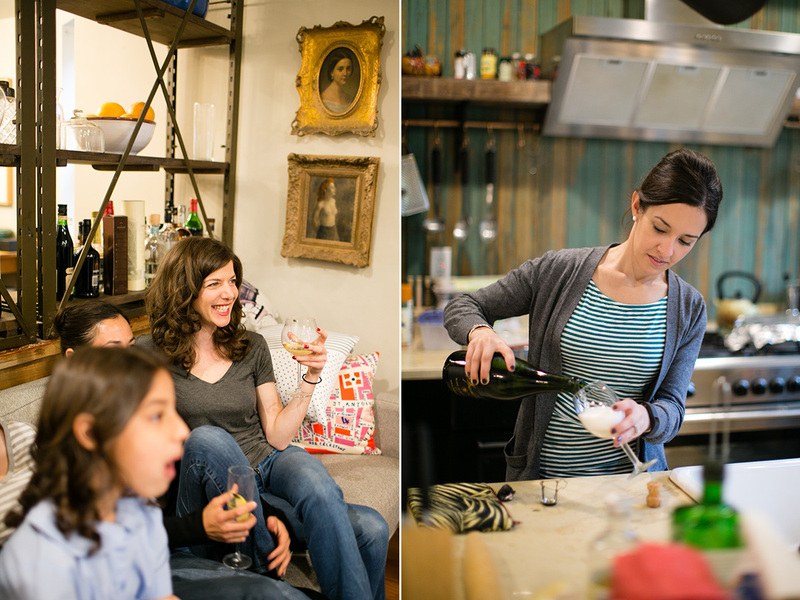 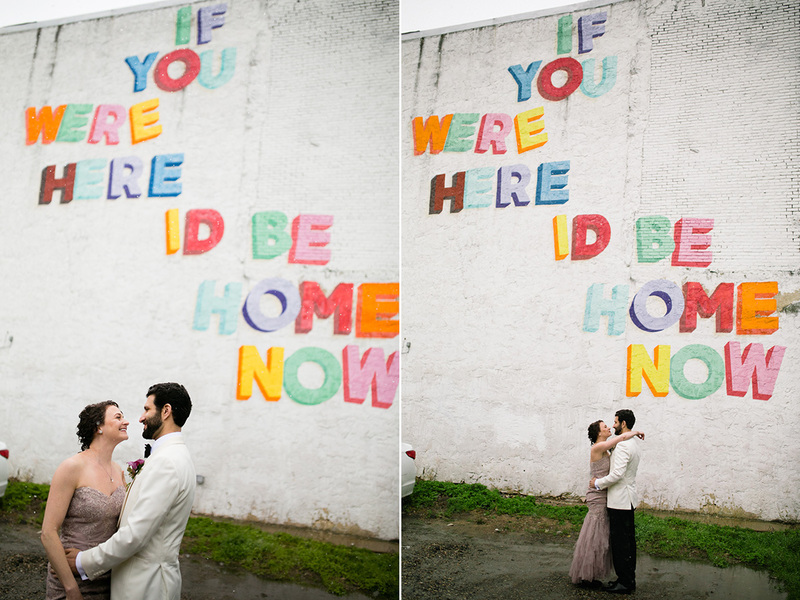 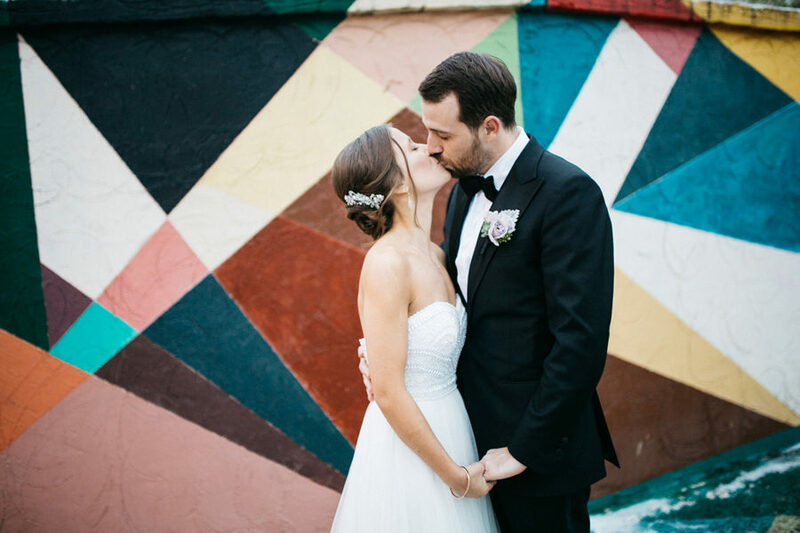 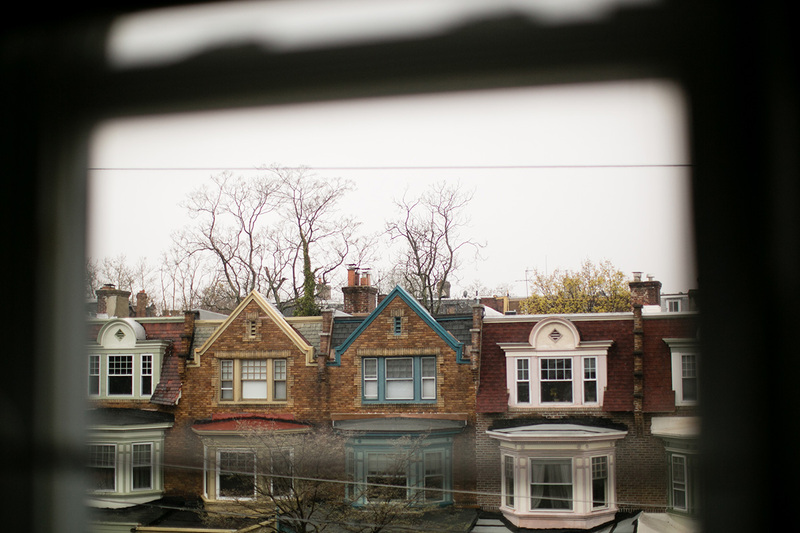 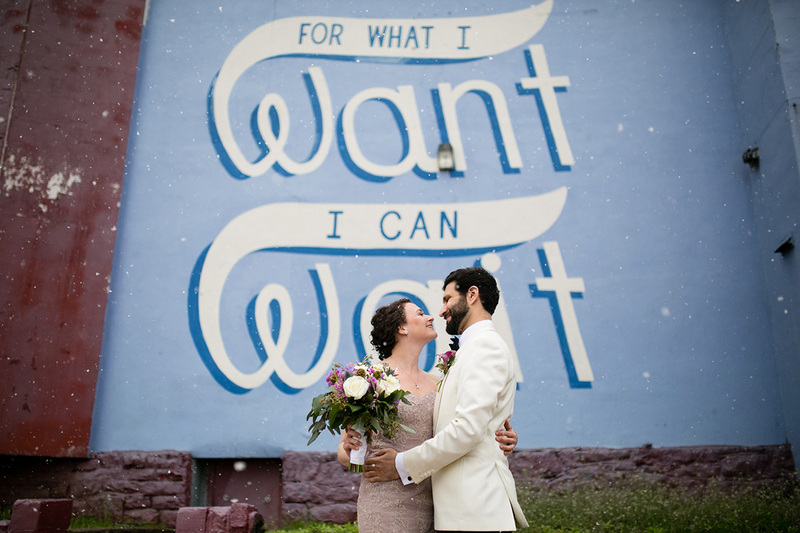 I also loved that Alison and Shaheen chose to get ready at their beautiful home in West Philly together and wanted to do portraits in the neighborhood with some of their favorite West Philly Love murals (A Love Letter for You by Steve Powers). 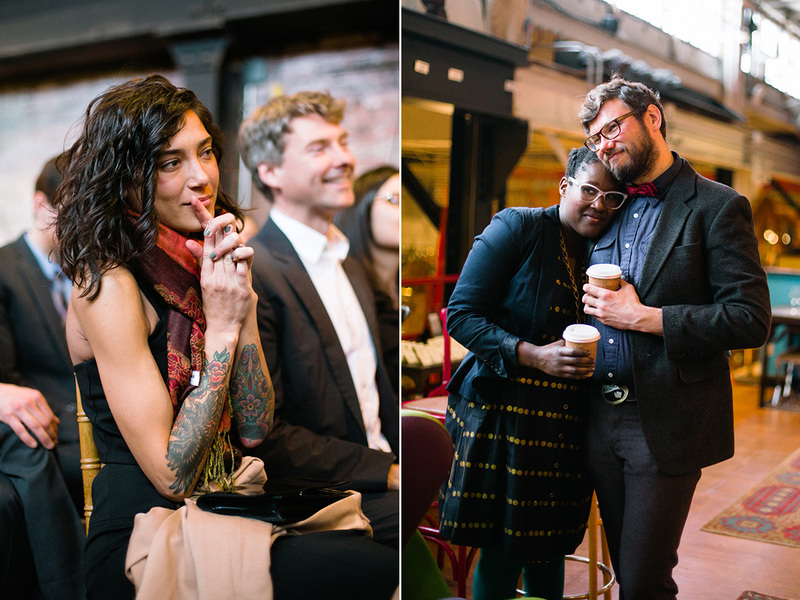 So nice to keep it local and personal! 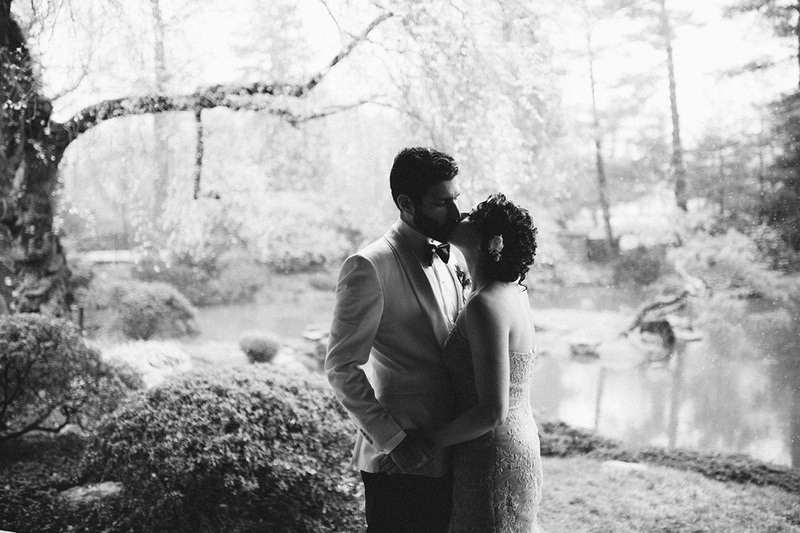 We also made a stop at the Japanese House at the Horticulture Center for some intimate photos. 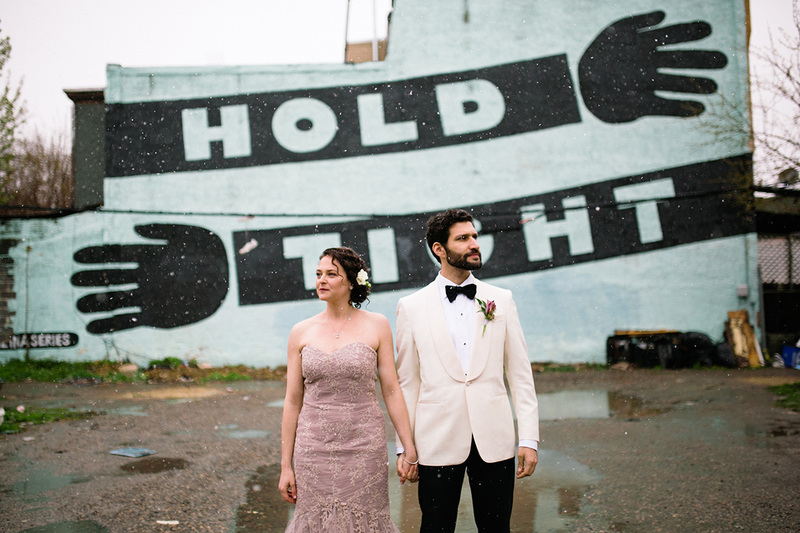 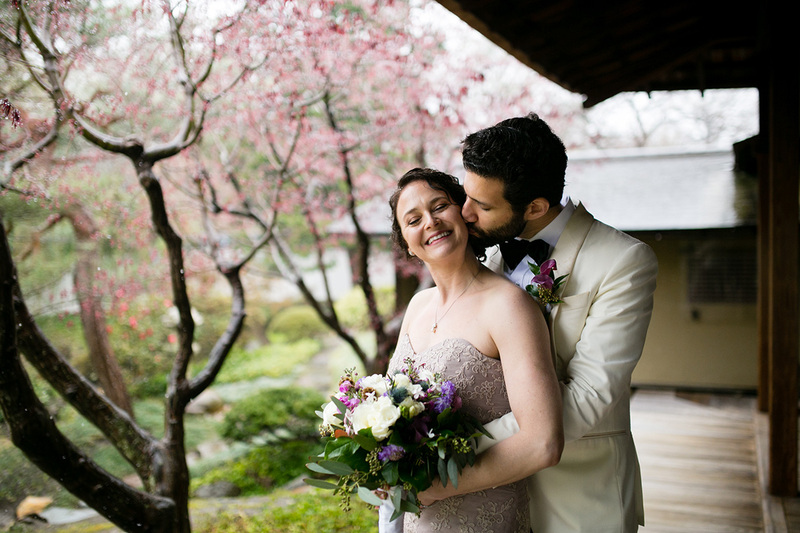 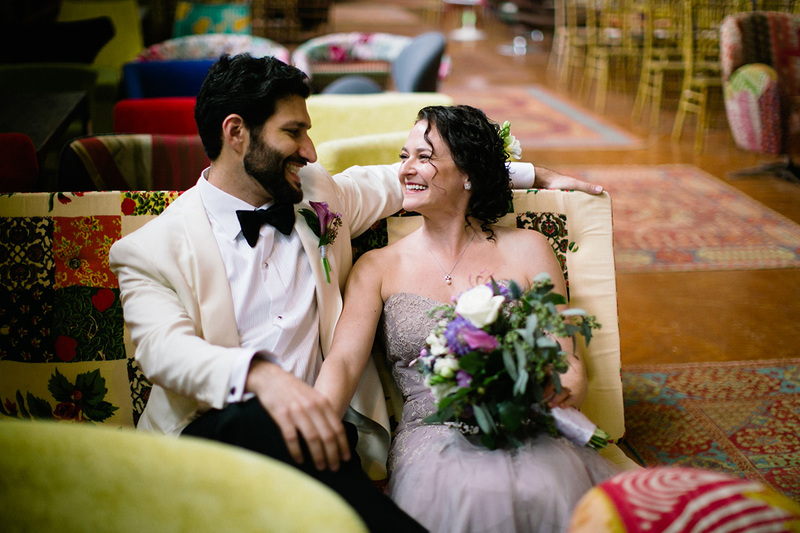 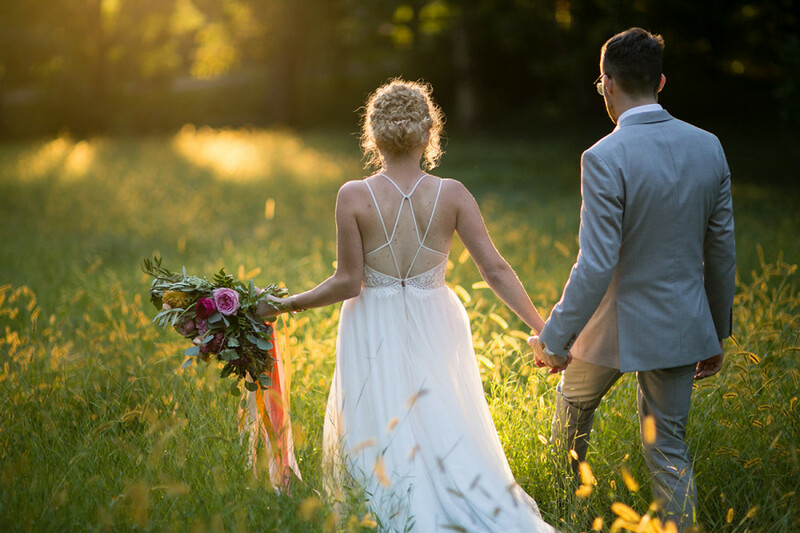 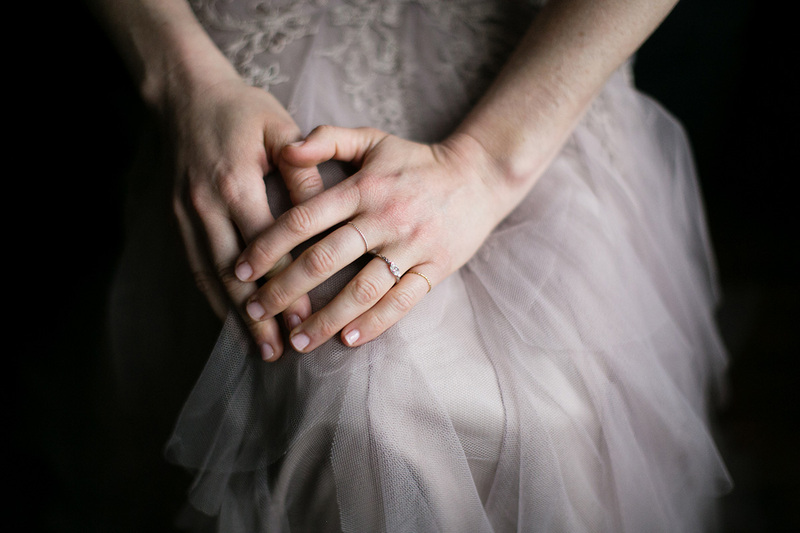 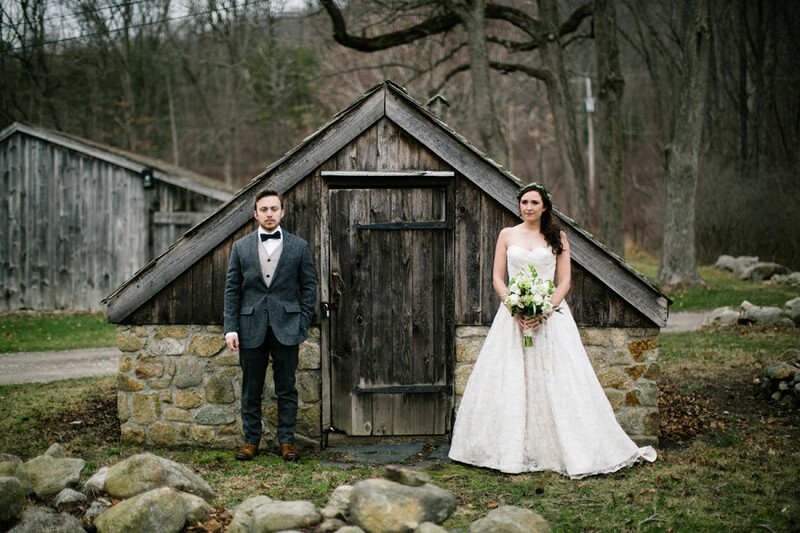 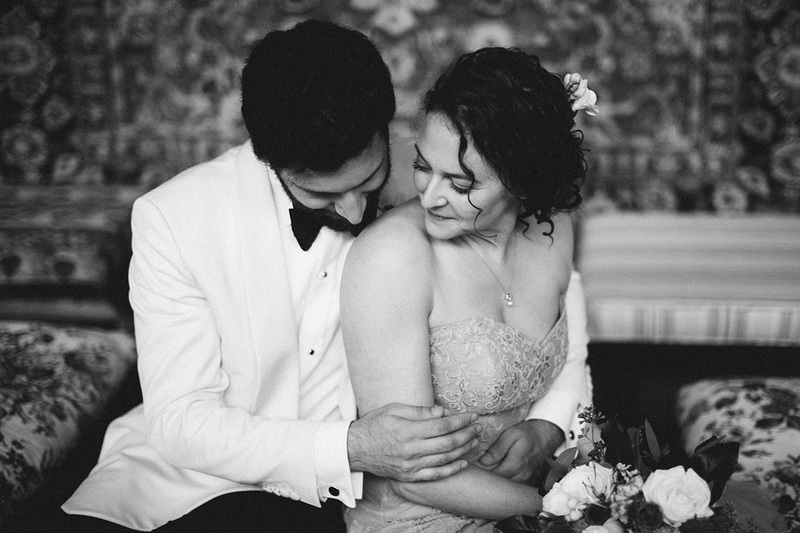 A huge storm happened on their wedding day, which is a bit unusual for April, but Alison and Shaheen had the best attitude and didn’t let the weather interfere with their plans. 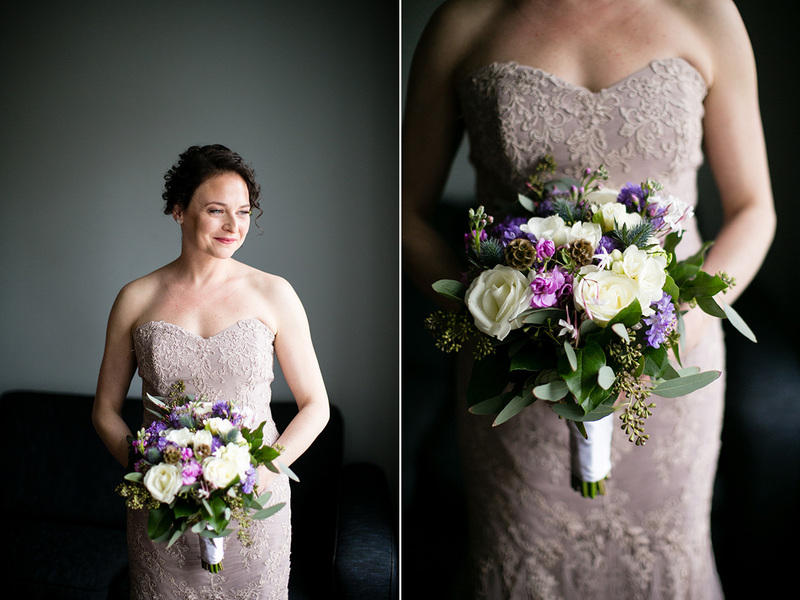 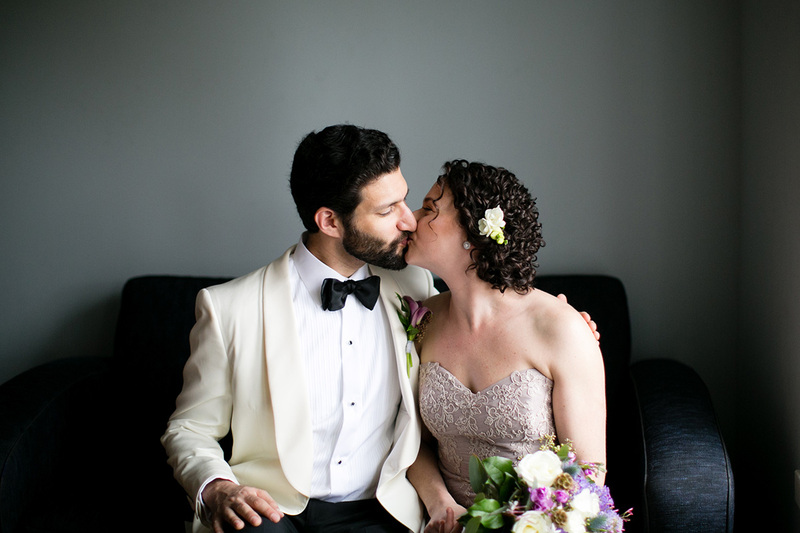 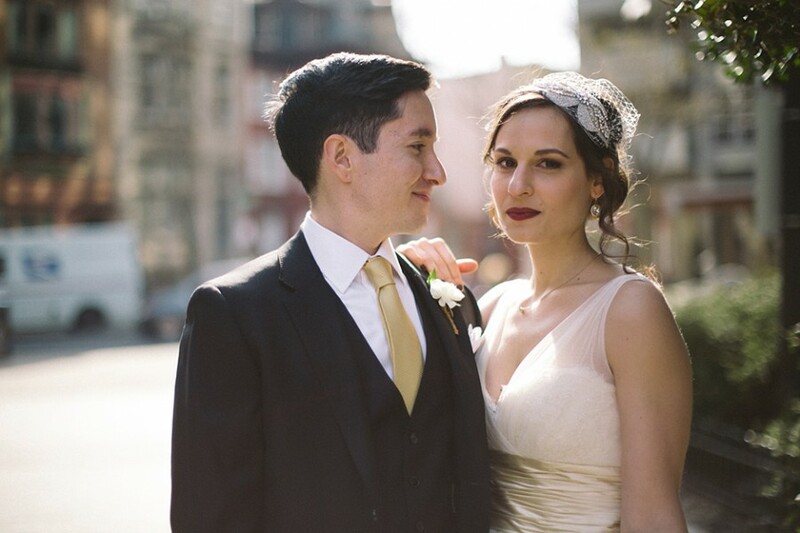 Alison wore a Sabrina Ann‘s dress and Shaheen’s suit was from Boyds. 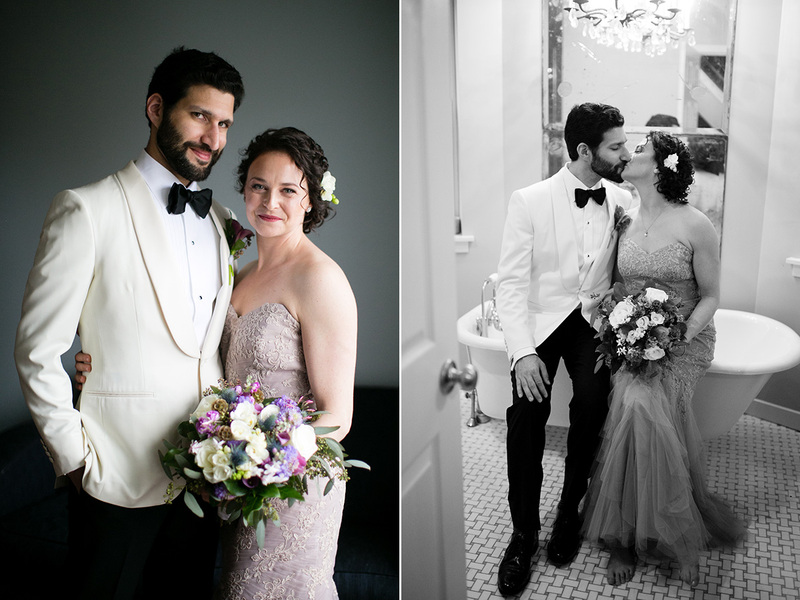 Their wedding was a unique and beautiful celebration!